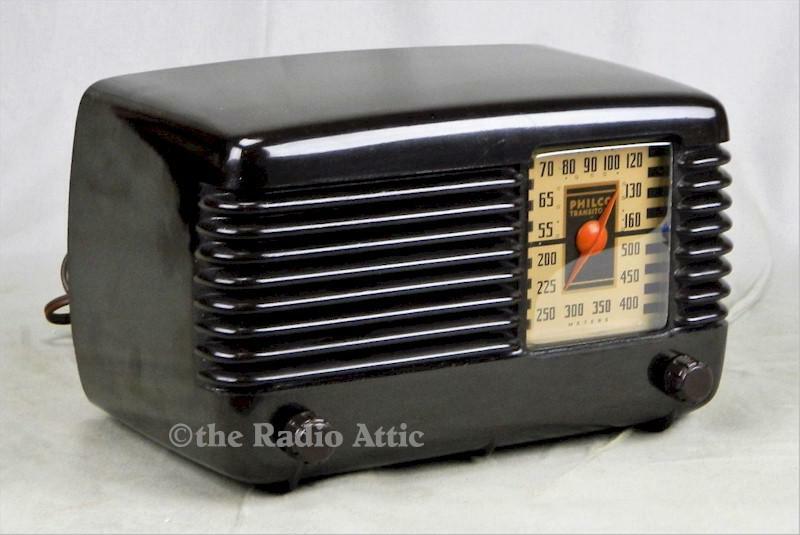 Beautiful Philco post-War mid-century radio in great condition. Cabinet has a great shine and has no cracks, chips or repairs. Original knobs, original back. New dial cover and power cord. Dial lights nicely, graphics are fantastic and colorful. Chassis has been reviewed and all failed or failing components have been replaced. Dial works as designed and the radio receives stations nicely. A wonderful radio! Radio will be expertly packed and mailed fully insured. Shipping is $20 for the continental USA. 16"W x 10"H x 6"D.